What I missed in the past week might have made for a really good week of jazz. What I heard live, however, made for a stellar series worthy of a festival in any city. From a young composer/educator’s homecoming to a veteran titan’s best-yet ensemble to an unheralded but highly inventive ensemble’s local debut to a solo piano outing that might outshine the upcoming Herbie Hancock gig…. It was a showcase of talent and inspiration. 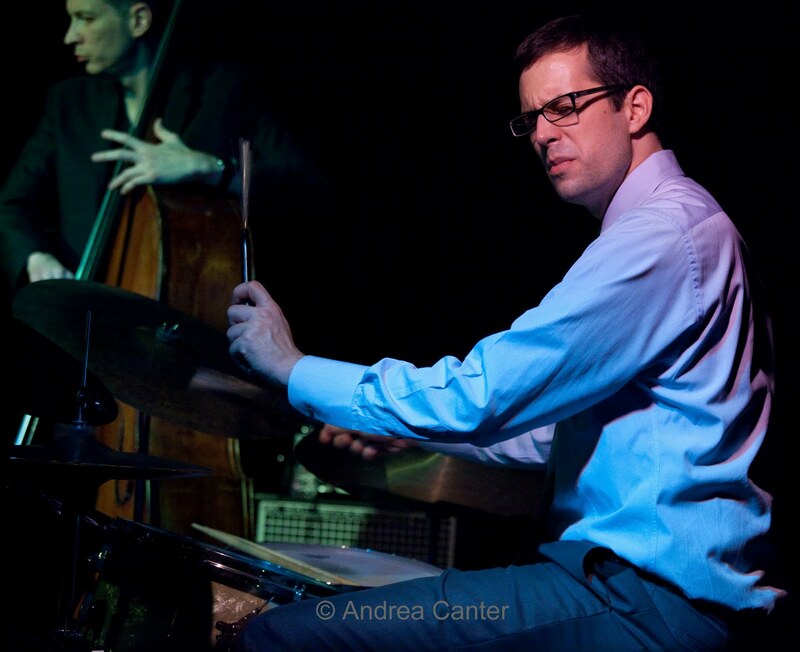 Matt Slocum Trio at the Artists Quarter, October 21-23. Slocum sits tall at the drumkit but his music traverses the depths and heights of emotion, from the elegant moods of his compositions to the wide dynamic and rhythmic ranges of the trapset. I’ve heard Minnesota native Slocum and elegant bassist Massimo Biolcati before, on past visits to the Artists Quarter and on Matt’s two fine CDs—the most recent, After the Storm, providing much of set list played Friday night. But I never heard pianist Sam Yahel, known perhaps more as a B-3 and electronic keyboard wizard, but easily on par with the very best acoustic pianists working today. And we were treated not only to Slocum’s melodic excitements like “Catalyst” and “Pete’s Place,” but also to Yahel’s frenzied finesse (“Hometown”) and a few inventive takes on standards, like their particularly engaging “Moonlight in Vermont.” The inspiration did not end with the last set. On Sunday when the AQ is typically dark, Matt and Sam (Massimo had to get to his next gig) held a master class aimed at high school and college level musicians, giving the approximately 20 eager students ninety minutes of critique and tips, and providing everyone a chance to perform in the context of lessons on “listening” (to yourself and bandmates) and improvising. 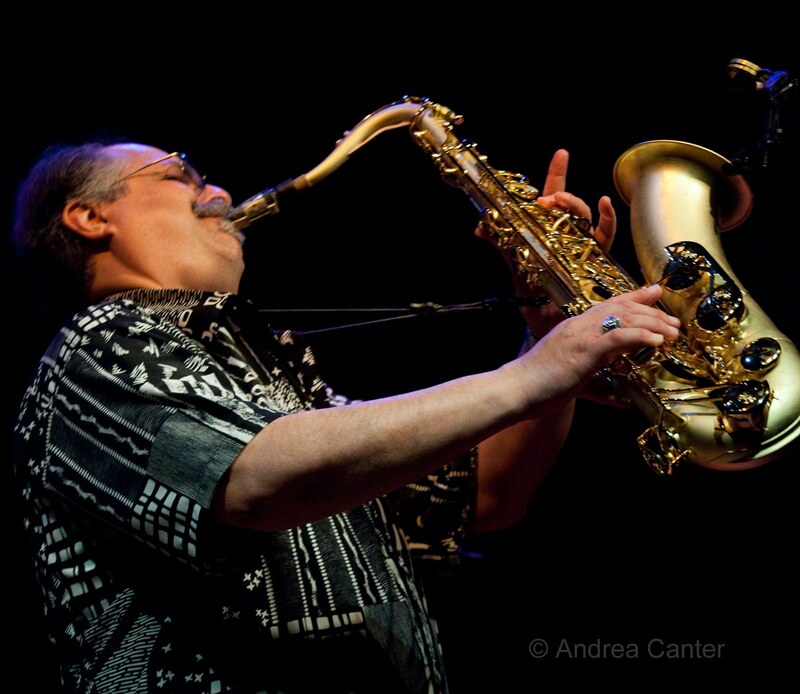 Joe Lovano and Us Five at the Hopkins Center for the Arts, October 22. I’ve now heard Us Five four times in jazz club, festival and concert contexts, and this night was the best yet. Even without the Grammy’s poster girl for jazz, Esperanza Spalding, this is a formidable band. But this was the first time I’ve heard Spalding with the group, and with the young bassist backing one of the living legends of saxophone, this band soars. Lovano’s frequent acappella solos on tenor and his haunting taragato evoked Parker, Coltrane, Coleman and Lloyd while calling out to the ancient Gods of music; Spalding’s frequent solo introductions confirmed her place among the brightest jazz artists of her generation—a fact often overlooked in the sea of hype about her steep career trajectory and commercial fashion appeal. And the rest of the band easily kept up with their better known cohorts, James Weidman churning up the keyboard on “Yardbird Suite” and “Donna Lee,” the two drummers (Otis Brown III and Francisco Mela) engaging in back-and-forth duels throughout the evening. While the venue lacks the intimacy of a jazz club, the larger stage better separates the two trapsets, allowing the audience to better hear as well as see the impact of the double dose of percussion—which, with this band, is not merely a doubling of sound but an expansion of effects, with sticks and brushes (or mallets or shells) simultaneously at work, interjecting their own counterpoint. Lovano is not only a master composer and performer, but an ingenious bandleader and arranger. Us Five readily instigated a joyful response from us 500. Dead Cat Bounce at Walker West and Studio Z, October 24. As a former and long-term cat owner, I initially shuddered at the name of this ensemble. The term refers to a sudden rise in a falling stock. Which might evoke thoughts of unexpected turns in a music that has seen its popularity sink in recent decades. 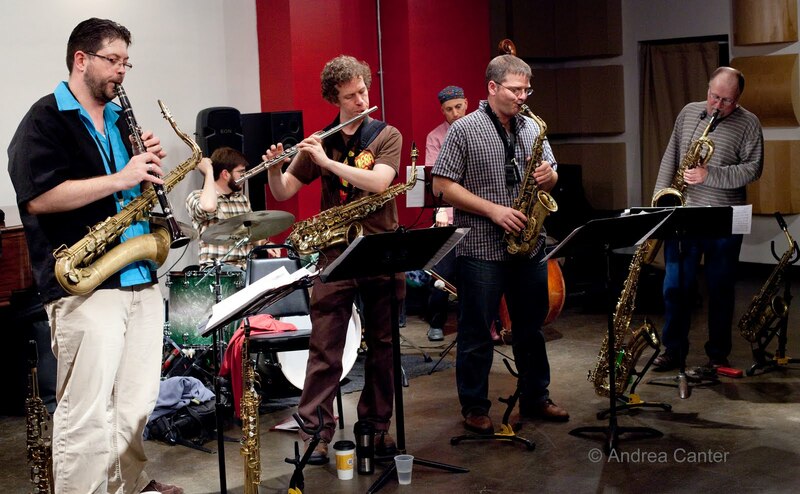 Founding saxophonist/composer Matt Steckler has created a sound and a repertoire for four saxophones (and assorted other woodwinds) plus bass and drums, and DCB has been creating thrills and chills for more than a dozen years. Their first visit to the Twin Cities started with a combined performance/Q&A session at Walker West Music Academy, well attended by a mixed age audience of students, musicians and interested bystanders. We learned a bit about the nature of composing for a specific ensemble, about keeping track of all ideas in the composing process, about the use of gestures (like an orchestra conductor) to cue shifts in the music, crucial when working in weird time signatures like 23/4! And we got a preview of the music DCB performed later in the evening at Studio Z. The concert drew a much smaller audience than the clinic, making it the artistic crime of the week. But there was no lack of enthusiasm on the part of the musicians or the few who came to listen. DCB mostly played music from their new release, Chance Episodes, including the far-flung “Silent Movie—Russia 1995,” “Salon Sound Journal,” and “Far From the Matty Crowd.” Having reviewed the CD, I was familiar with the music, but one needs to see this band to appreciate where the sounds come from. It’s one thing to hear a group of saxophones, another to see how they inspire each other (often going horn to horn) and to recognize the versatility of each musician. On any given tune, the four hornmen will likely each play at least two instruments, pulling as much sound from body language as from reeds and valves. They closed the night with one of their older tunes, “Hepcat Revisited,” a reckless, fast, swinging romp that, like many other works in their repertoire, hints at the old Mingus workshop in energy and harmonies. This is definitely a band deserving wider recognition. Bryan Nichols, solo piano at Antonello Hall (MacPhail Center for Music), October 26. Bryan Nichols passed up a career in genetics to play with titans in Chicago and with Betty Carter’s Jazz Ahead program, all a prelude to his climb to the top of the Twin Cities jazz piano stable. 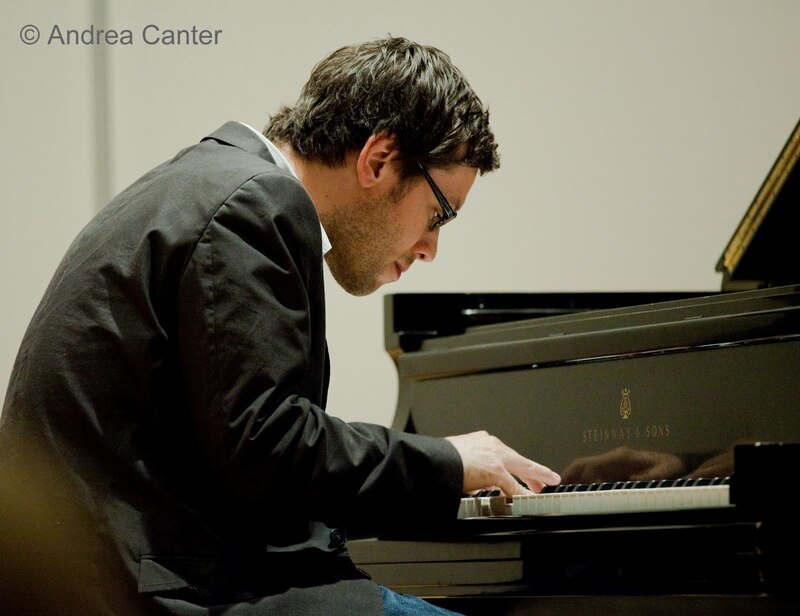 Anyone familiar with his compositions and improvisational chops would have anticipated a stellar evening when Bryan scheduled a solo performance as the capstone to his McKnight fellowship. But even loyal fans—at least this one—were a bit unprepared for the level of artistry that he presented over some 70+ minutes in the perfect setting of Antonello Hall. 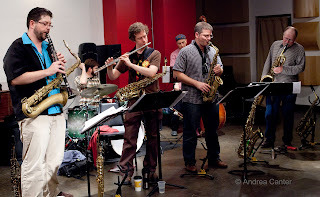 The set included about a half-dozen spontaneous improvisations along with unique interpretations of standards and a couple original compositions from his recent quintet release, Bright Places. And often it was not easy to tell what was “composed” in the moment versus a pre-existing structure undergoing major revision. Bryan takes a melodic core—one that he invents or one that he excavates—and runs circles around it. The pathway might be lightly paved or treacherously bumpy; the destination more or less visible or thoroughly disguised. A classical feel might conjure Chopin or Bartok; a jaggedy hop-scotching hand-over-hand assault might conjure Monk or Cecil Taylor. And those diverse directions might appear within one piece, one verse, or one line. He might startle with shifts in dynamics or rhythms yet never turns his back on accessibility to his audience. Ultimately it all makes sense. There was no tune I would not want to hear again (and of course it would be new! ), but particularly give me more time with Paul Motian’s “Abacus” with its Eastern scales and hymnal delicacy; the dark and surprisingly swinging, bluesy waltz of Dave King’s “That Isn’t Even Worth Selling” from early Happy Apple days; the unique voicings and continuous right handed, bell-chiming vamp of “A Child Is Born;” and the elongated improvisation that evolved into Strayhorn’s exquisite “A Flower Is a Lovesome Thing.” And then there was the closing from his CD, Bryan’s “Drums You Didn’t Hear” with its constantly shifting time, mood and colors that he tethers together with such maniacal elegance. Solo piano is no easy gig. There’s equal parts danger in overusing the instrument’s orchestral power or confining the sound to its most delicate melodicism. The most sophisticated composers walk that tightrope without a safety net, without losing their balance. And the most dexterous performers make it look easy. Bryan Nichols succeeds on both levels. And then he goes farther by creating new works –from thin air or from existing repertoire—that at once seem part of the modern jazz tradition and part of jazz yet to come.